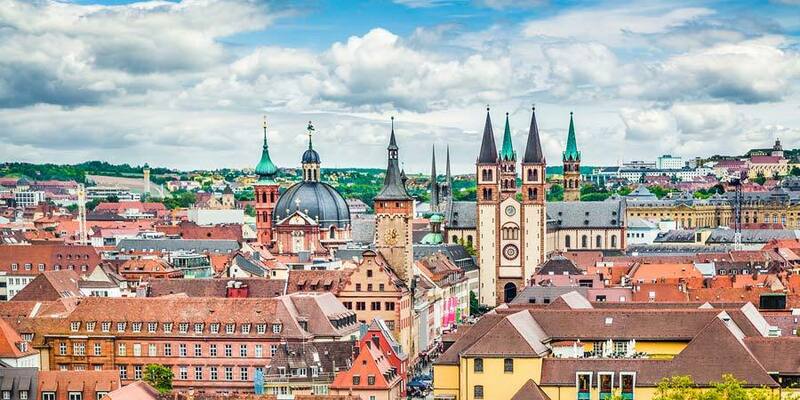 Cruise the mighty Danube and Rhine on this epic journey throughEurope’s heartland. From the Hungarian capital of Budapest, explorethe heritage of regal Austria before following the winding valleysand traditional riverside towns of historic Bavaria. Then, continueto the Dutch capital of Amsterdam and explore the city’s beautifulnetwork of canals. Departs from May 2017 to September 2017. After meeting at our dedicated Departure Office in St Pancras,we board the Eurostar to Brussels, continuing on to Nuremberg,where we overnight. The following day, we transfer to our vessel,the fantastic Travelmarvel Diamond in Budapest, by rail. Once inthe Hungarian capital, we are greeted at our vessel with aCaptain’s reception. That evening, we enjoy a twilight cruisethrough the illuminated cityscape. On Day 3, we enjoy a guided tourof this historic city before a gala dinner on board our vessel. We embark on a guided tour of Vienna today, passing many famouslandmarks along the iconic Ringtrasse. We then head to the vibrantNaschmarkt to sample some of the local produce and taste some ofAustria’s most popular dishes and delicacies. The following day isfree to explore the Austrian capital at your own pace, or you maychoose to join one of the optional excursions, with visits to theregal Sch¶nbrunn Palace and the Slovakian capital of Bratislavaboth on offer. This evening, there is also the option of joining usfor a wonderful concert of classical music, including works byMozart and Strauss, a truly Viennese experience. Today we head to the picturesque town of Melk for a tour of theiconic Abbey, the stunning Benedictine monastery perches above thetown, overlooking the Wachau Valley and the Danube. Later, wecontinue on to Linz. On Day 7, we enjoy a walkingtour in the quiet town of Passau. Alternatively, you may like tojoin one of the optional excursions on offer, with guided toursavailable to Cesky Krumlov and the beautiful city of Salzburg. Thisevening we enjoy a traditional Bavarian feast on board our ship,trying many local and regional delicacies, accompanied by liveentertainment. We continue our cruise along the Danube today, arriving in theenchanting medieval town of Regensburg. One of the nation’s mostimportant cities during the Middle Ages, the historic medievalcentre of Regensburg is one of Bavaria’s most popular touristsites. Back on board, we continue our journey along the Danube,cruising through the Main-Danube canal en route to Nuremberg.Arriving in Nuremberg on Day 9 we embark on aguided tour of the city, visiting key areas related to AdolfHitler’s iconic rallies here during the years leading up to andduring WWII and the subsequent trial of key Nazi divs in theyears after. Today we embark on a guided tour of the town of Bamberg,situated at the confluence of the Main river. One of Germany’soldest settlements, Bamberg’s traditional Old Town centre is UNESCOprotected and a true joy to explore. The next day we arrive inW¼rzburg, surrounded by verdant hills and charming farmsteads. Hereyou are free to explore and stroll through the town’s narrowalleyways and cobbled streets. Later, there is an optional tour tothe nearby town of Rothenburg. Today we arrive in the town of Miltenberg where we are met intrue German style by some of the town locals with traditionalcoffee and cakes. You are then free to explore at your leisure. Thefollowing day we arrive in R¼desheim, where we board the charmingWinzerexpress mini-train which takes us on a trip through the towncentre and out to Siegfried’s Mechanical Musical Instrument Museum.Here, there is a chance to learn about the history of the musicbox. Back aboard our ship, we begin our cruise through the dramaticscenery of the Rhine Gorge this afternoon, passing rollingvineyards and the iconic Lorelai Rock. This morning we enjoy an excursion to the UNESCO listedAugustusburg Castle, the stunning regal building and former home ofthe Wittelsbach family. From there, we visit the nearby BaroqueFalkenlust hunting lodge. Later, we return to our ship for freetime onboard. Upon arrival in the Dutch city of Amsterdam, we transfer to aglass-topped boat for a relaxing cruise through the winding canals,past the city’s main sights and waterside facades. This eveningthere is a Captain’s Farewell Dinner back on the vessel, with liveentertainment. The following day we begin the journey home,transferring from our ship to the Amsterdam station and returningto London via the Eurostar at Brussels. Optional shore excursions are not included in the price of yourtour and are payable locally.